Right away, it’s obvious that Buick is trying to go in a different direction with this year’s Verano. The model has been out since 2011 and was introduced as Buick’s attempt to get into the growing market for premium compact sedans. Verano is of course Spanish for summer, but the first Veranos were anything but hot. Introduced in 2011, it was a well-appointed small luxury car. 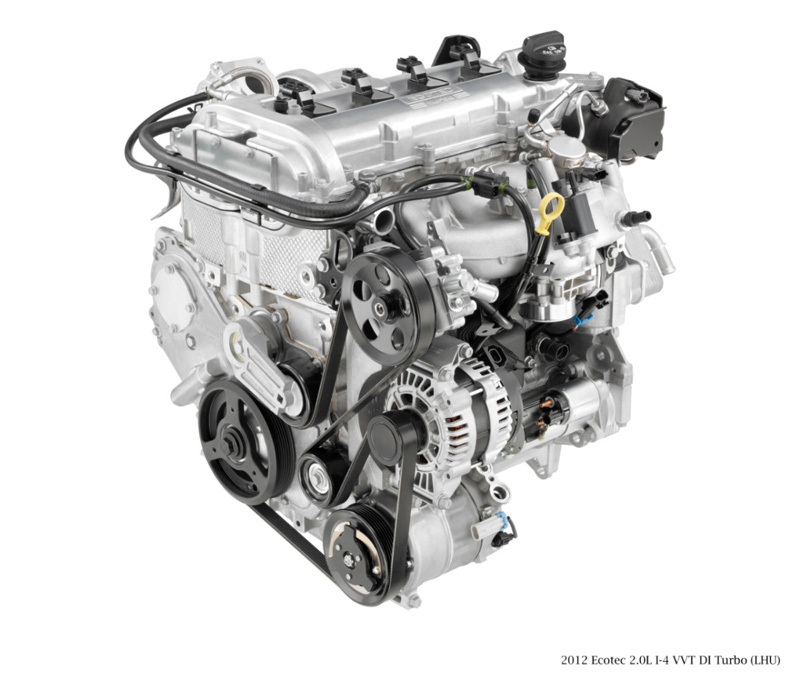 For 2013, though, the Verano gets a six-speed manual paired with a 2.0 liter turbo motor in the range-topping 1ST model. 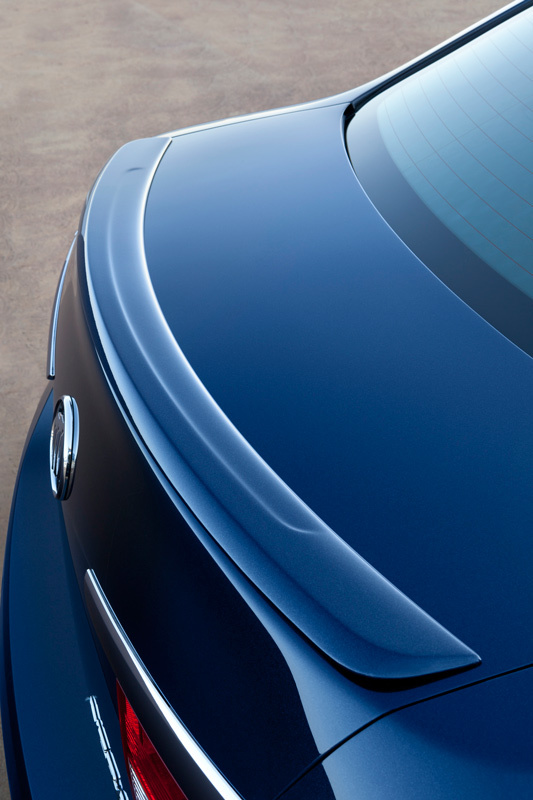 That got our attention, which is something Buicks don’t tend to do. 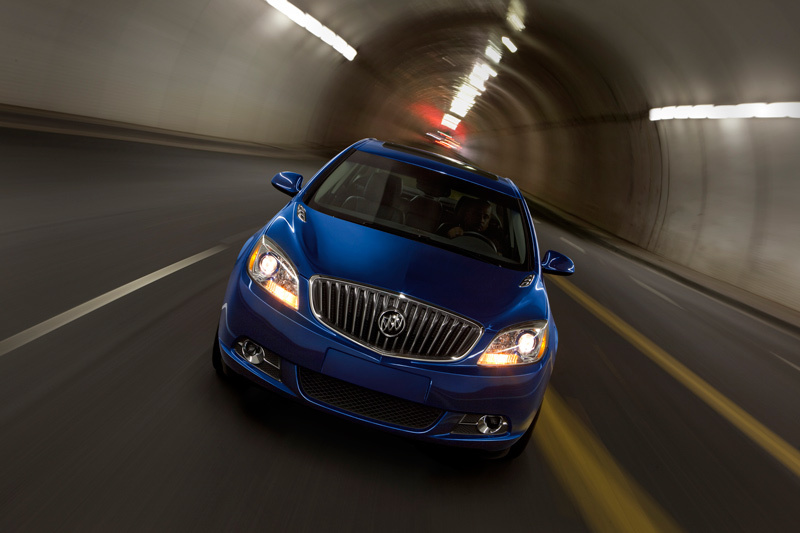 Up front is the most distinguishing feature of the car, which Buick calls the “waterfall grille”. It adorns the noses on the current Buick range, and makes them stand out at least a little bit from the cookie-cutter styling of a lot of non-sporty things these days. That doesn’t necessarily mean the waterfall grille is a pretty styling feature, but the Verano is somehow able to pull off the look better than stablemates like the Encore. Some strokes of chrome accent do nicely for the car’s overall appearance, especially the pieces above the taillights. And on the 1ST-packaged test car, the 18-inch forged alloy wheels, a decklid spoiler and dual exhaust add some sportiness to the Verano’s otherwise downplayed styling. Colors include Crystal Red Tincoat, White Diamond Tricoat, Carbon Black Metallic, Summit White, Quicksilver Metallic, Mocha Bronze Metallic and Luxo Blue Metallic. Since so many Buicks of late seem to be some variation of white or brown, this is a refreshing set of shades to choose from. 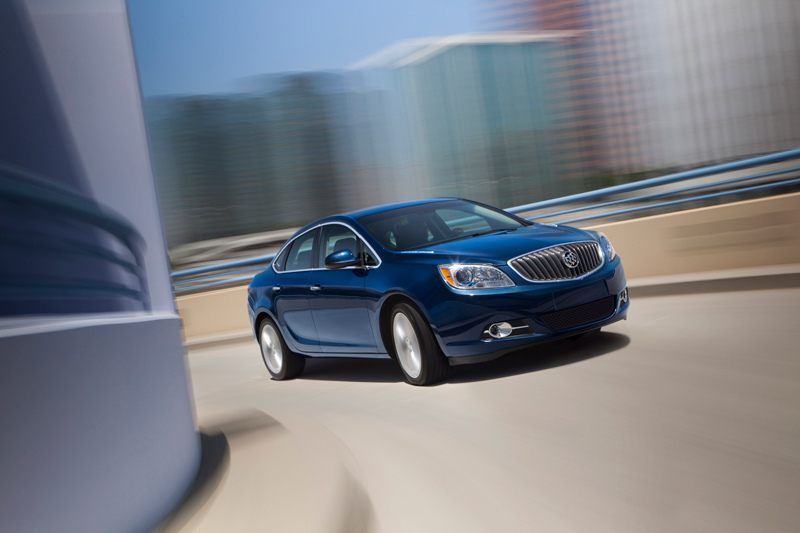 Buick frequently seems to do it better on the inside than on the outside. Maybe they really take that saying about it being what’s on the inside that counts seriously. With the Verano, it’s yet another example of Buick providing a cockpit that looks and feels like it could be in a more expensive car. First, though, let’s start with the most surprising features of the Verano’s interior, the manual shifter between the seats and the extra pedal in the footwell. (When is the last time you saw a modern Buick with a manual?) In terms of aesthetics, the shifter actually presents pretty nicely. It isn’t flashy or anything. It just goes nicely with the rest of the space. The rest of the interior, an inviting blend of metallic and wood trims accented by ambient lighting, is pretty well put together and perhaps just a bit better than the inside of the comparable Acura ILX. The instrument cluster is especially nice, and because this car can have a good old-fashioned manual, you’ll be looking at it a lot more. It’s nothing fancy, kind of simple actually, but it is well thought out and looks really good. According to Buick, the inside of the Verano is also packed with all sorts of stuff to deaden sound and minimize road noise. Even the wheels were supposedly designed to keep quiet. That’s nice for cruising and long drives like the 12-hour trip we took to Florida. Buick’s version of the GM IntelliLink system is standard on all Verano models, including those equipped with the available GPS-enabled navigation. Since 2012, the voice command elements of the system have been improved, but it all still comes in on the 7-inch LED touch screen that now also serves as the display for the standard rearview camera, a feature that is new for 2013 on the Verano. For connectivity’s sake, there is Bluetooth capability, a USB port, and an auxiliary input port. As we’ve come to expect, it all makes for one of the better, more usable systems available out there. Putting it all together, the interior of the Verano is an elegant environment that has the look and feel of a larger premium sedan, with attractive materials throughout and an impressive build quality to boot. 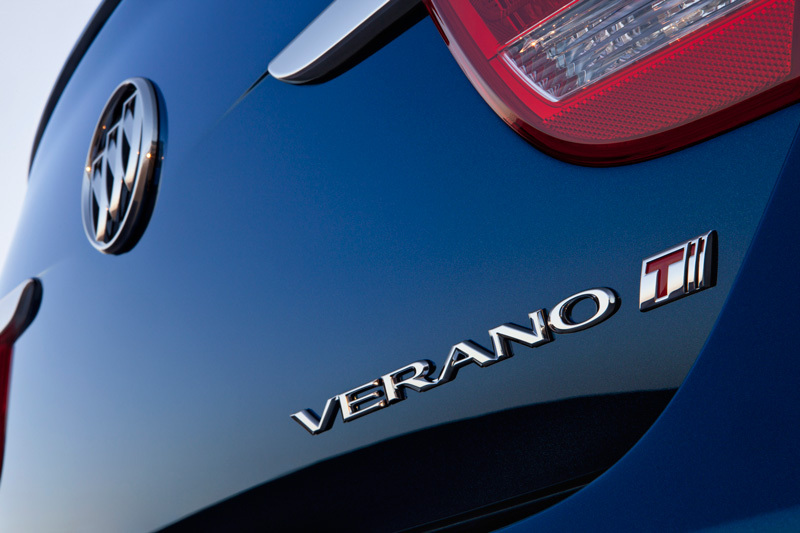 The big news for driving enthusiasts interested in the Verano is the six-speed and the hot motor. The force-fed inline-four makes 250 horsepower and will roll you and your 3,300 pound sedan to sixty miles per hour in under seven seconds, while still getting around 30 miles per gallon on the highway. (We saw an average of 33 mpg on our 12-hour Florida trip). It’s therefore almost as frugal on fuel as the 2.4 liter base model, so the technology in these Ecotec motors helps you spring for more power without feeling it at the pump. Being a turbo, however, it will need premium gas, so that’s something to keep in mind. The 1,998 cc Ecotec, a motor that GM is (and should be) very proud of, has been fitted in the Verano with quietness in mind, so it won’t make the noises that impress the kids and annoy the neighbors, but it does pull impressively through the midrange to redline. 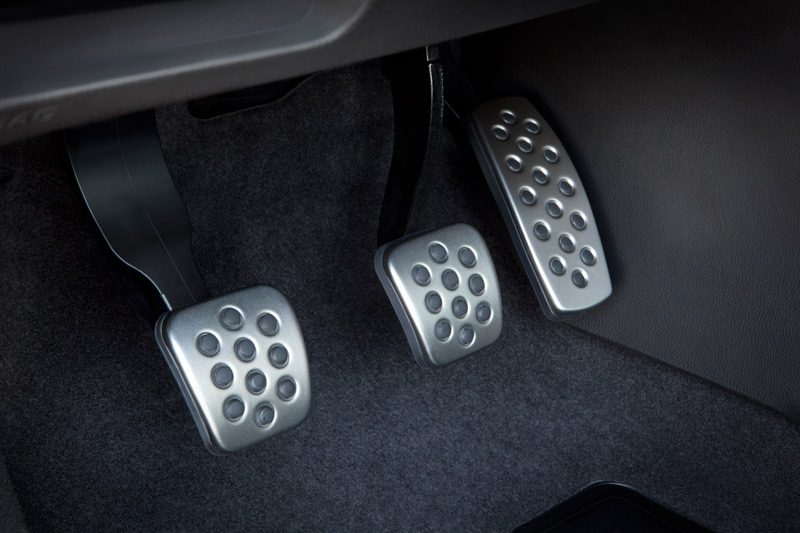 Flicking through six gears while using the flashy aluminum sport pedals is a welcome feeling, but, don’t be fooled, the Verano is not tuned for heel-and-toe shifting and ripping through the gears. Buick isn’t really marketing the Verano 1ST as a performance vehicle, and it doesn’t exactly look or feel like one. 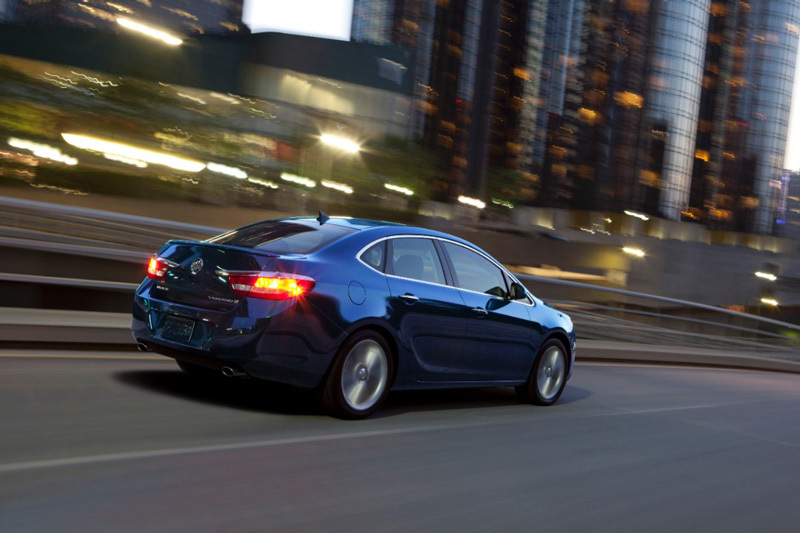 The motor and gearbox are pleasant surprises, but the suspension and brakes aren’t anything out of the ordinary for a Buick…and that’s okay. Like the standard car but in this case a little stiffer, it’s MacPherson struts up front and torsion beam in the rear. Buick claims that their rear suspension choice saves weight over a fully independent system, but we would’ve preferred something a little more up to date. Brakes are vented discs up front measuring 11.8 inches and solid discs in the rear measuring 11.5 inches. The electronic power steering has been reworked from the 2012 model, and is a dual-rack and pinion system. The end result is a solid and eerily quiet and smooth sedan that feels like a much more refined and larger car. From a sports car guy’s point of view, the Verano could have delivered more in terms of pep. Buick could have taken a look at other little sporty sedans like the VW Jetta GLI and made the Verano a flashier, more eager machine. Then again, there’s a market for cars like this, ones that are sensible, luxurious and efficient enough for somebody with discerning tastes, but sporty enough to still be entertaining. And speaking of a market, there’s definitely a market for Buicks. Few would have thought that this of all brands would become a global one, but Buicks are selling like hotcakes in China, and usually at a pretty hefty markup. It looks like Buick is doing a few things right, then, so while we would’ve preferred some more zing from this interesting new offering on the Verano, it’s still a Buick with a six-speed. That’s a good thing. poor article….much discussion of nice interior, no pictures. no 1/4 mile times, no handling discussion, no braking distances…..lots of fluff, waste of time. we expect better from SCD. Did you read the same article, I did?